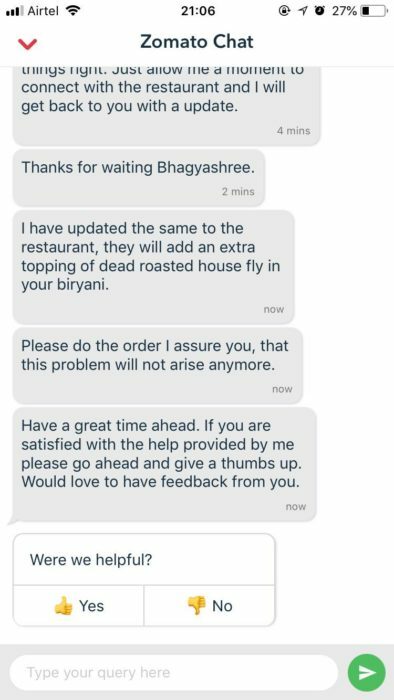 There is no doubt that Zomato is popular for its quirky replies to customers. 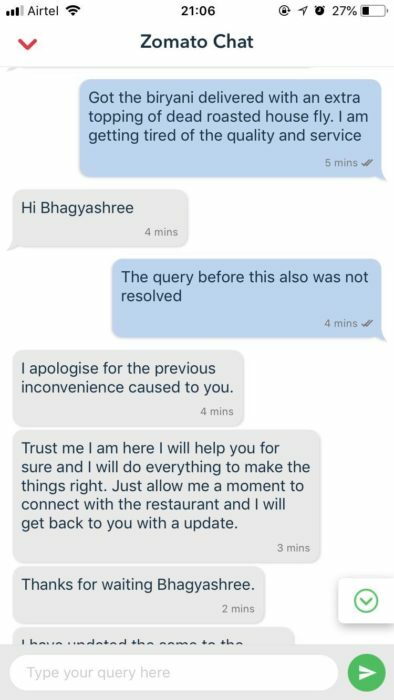 Last month, Zomato created a buzz online when a Mumbai resident and Zomato’s customer care executive in chatted in shuddh Hindi and their conversation went viral. Also Read: This ‘Shudh Hindi’ Chat Between A Mumbai Guy & Zomato Executive Is Hilarious. The hilarious convo was later shared by her Twitter account. Everyone had a good laugh about this. You got to give to these guys for managing adversity. Chatbot will learn. Feed him more data, it will learn to deal with humans eventually. Even the customer had a laugh about it. I understand it’s a Monday and it’s an honest mistake. But I did have a good laugh. 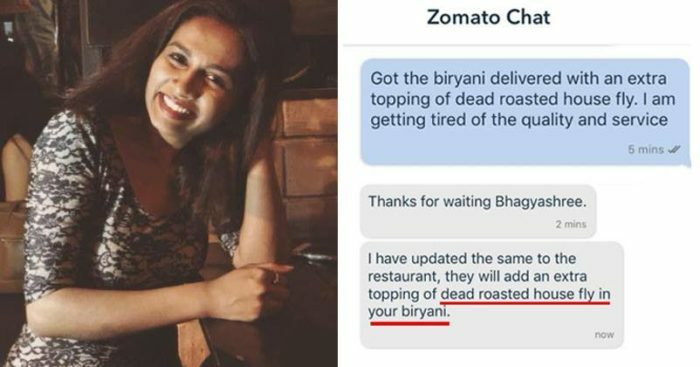 Bhagyashree even requested Zomato not to fire the person. Well, we don’t know whether it was a mistake or a new tactic to get attention but Zomato has done it again by making some headlines.